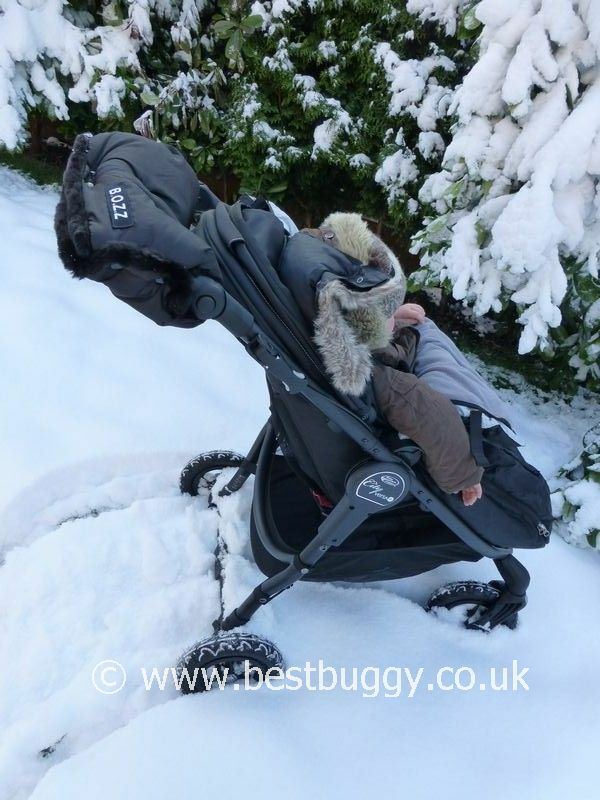 Here are a few photos of the Baby Jogger City Versa GT in snow. 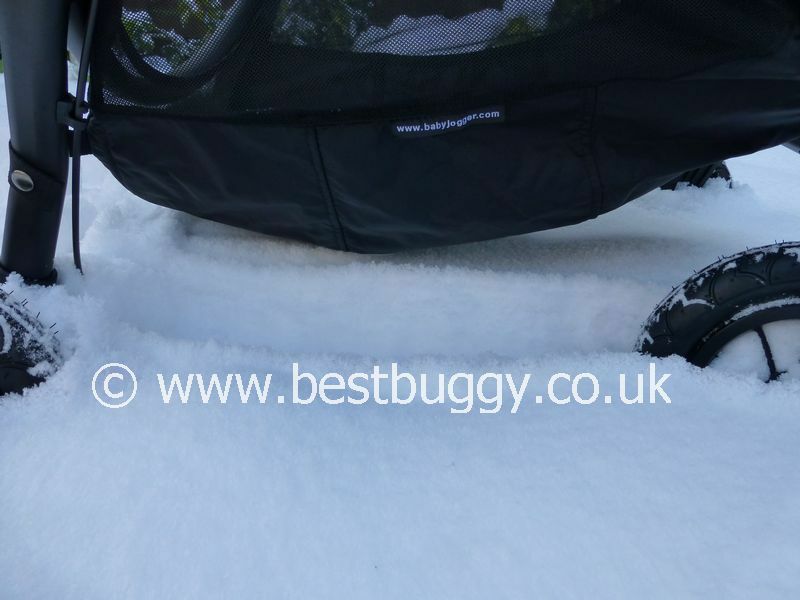 The snow was fresh powdery snow. 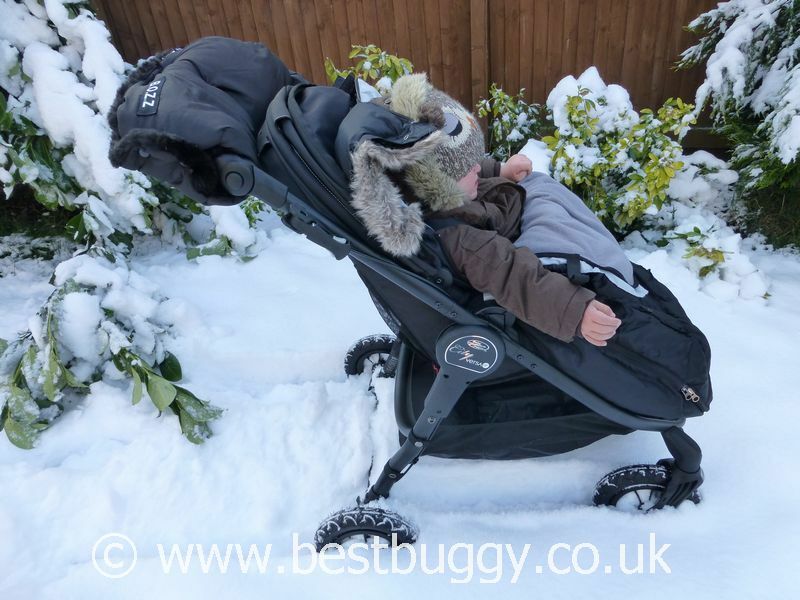 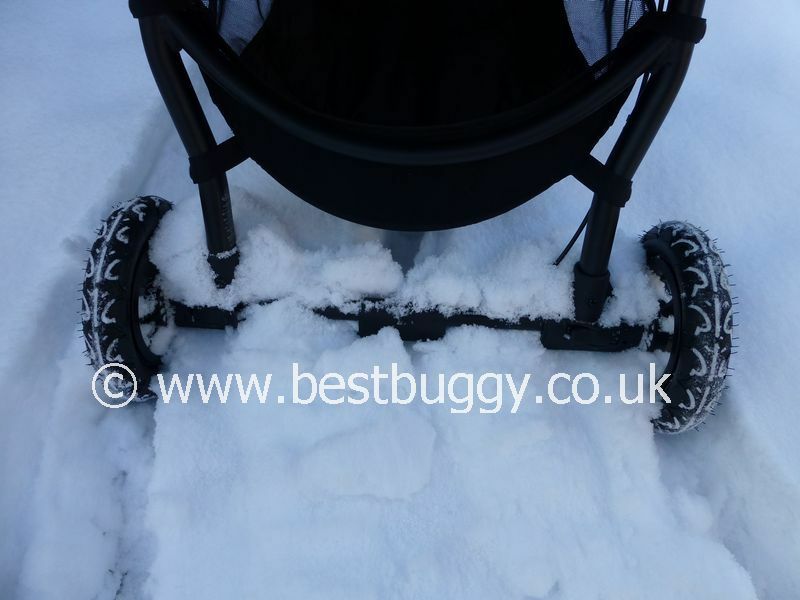 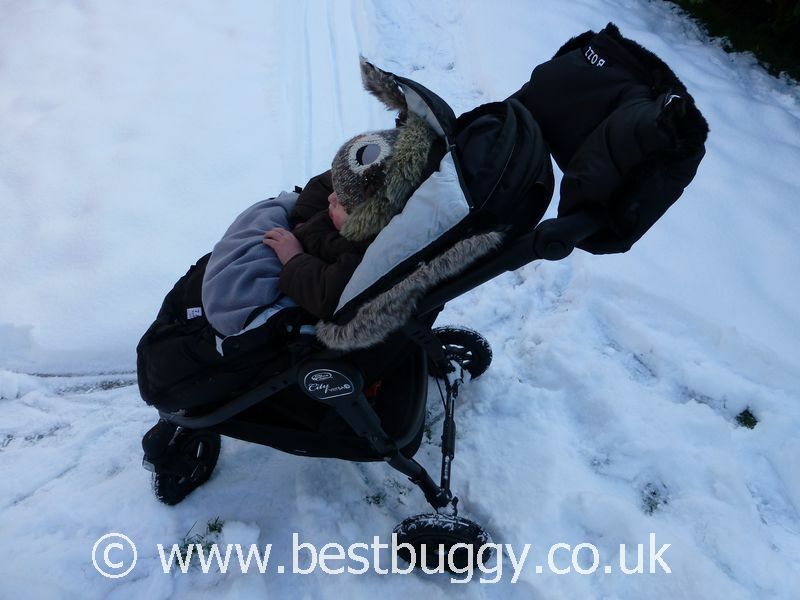 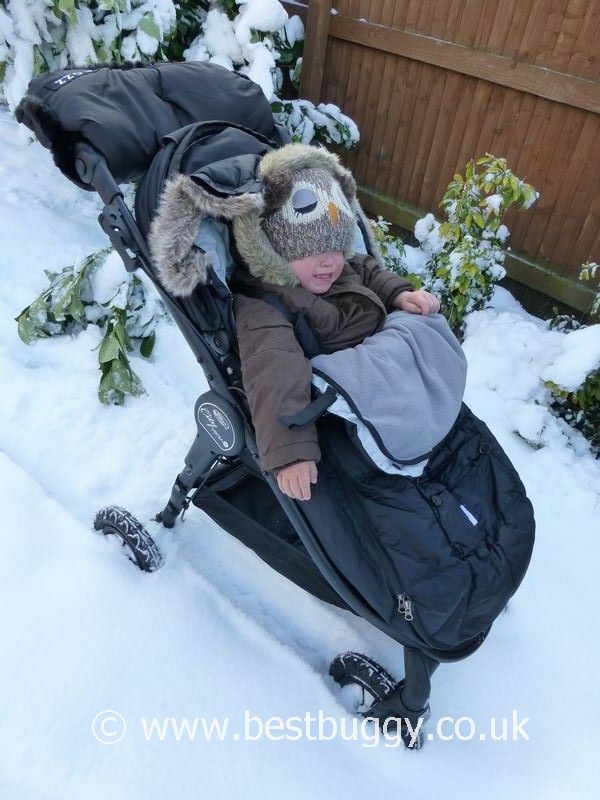 We knew the Baby Jogger Versa GT was great on ice, because the GT wheels prevent the pushchair from sliding around. 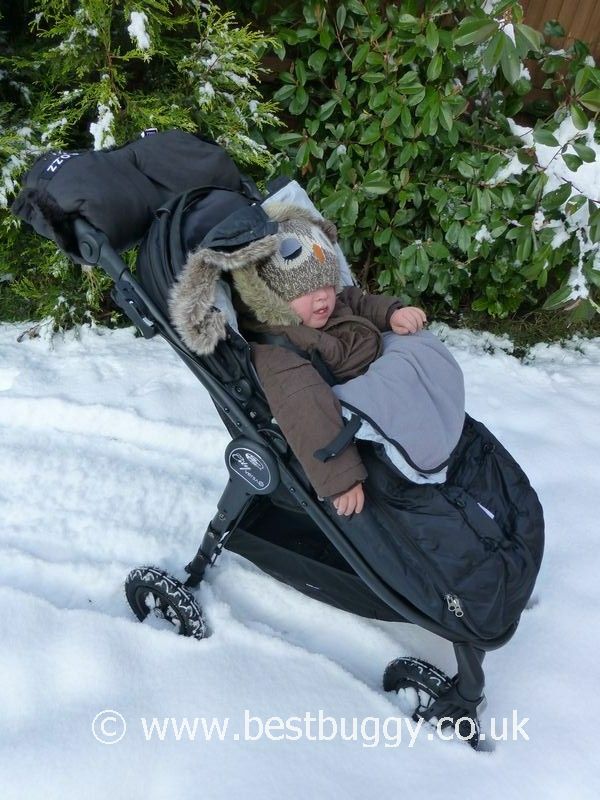 However the back axle, rather than the wheels let the Versa GT down in this snow. 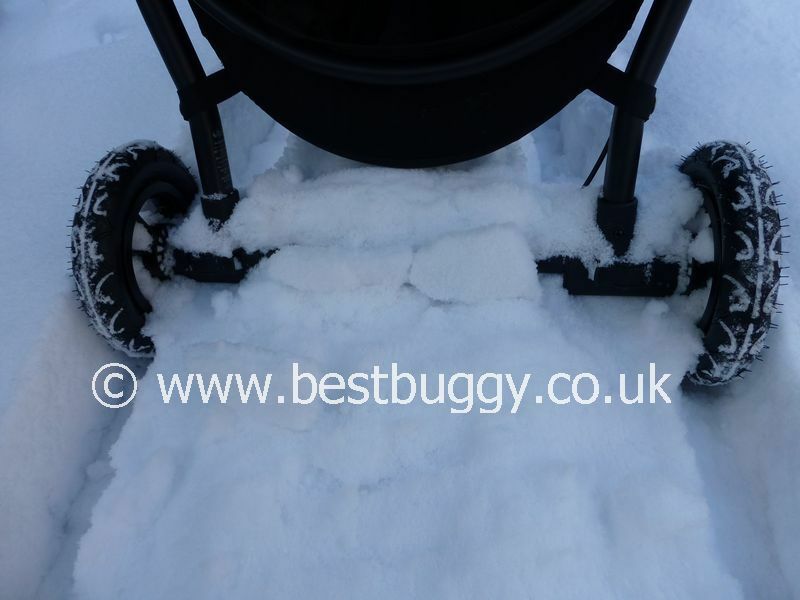 As the photos show, the back axle was slicing into the top of the snow, sending it over the top of the axle.